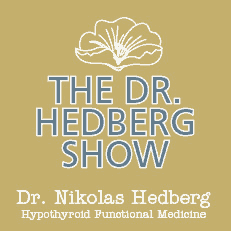 What Causes Hypothyroidism? 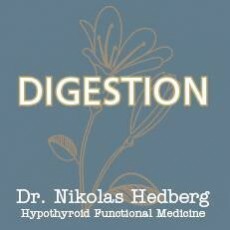 - Dr. Nikolas Hedberg, D.C.
Have you ever wondered what causes hypothyroidism? Your thyroid could be a major contributing factor to these symptoms. Your thyroid may have been checked by your physician, but were you evaluated for autoimmune thyroid disease? What causes hypothyroidism? The number one cause of hypothyroidism in the world is Hashimoto’s thyroiditis. This is a condition in which the body produces antibodies that attack the thyroid gland. This results in slow destruction of the thyroid gland leading to hypothyroidism. What should everyone know about Hashimoto’s disease? Hashimoto’s disease is the most common undiagnosed autoimmune disease in the world. More women are diagnosed with this condition than men. Many patients do not receive a thorough evaluation of their thyroid gland and are put on thyroid medication without adequate testing for autoimmune thyroid disease. Patients with autoimmune thyroid disease sometimes do not respond to medication and their doctors are continually adjusting their medication based on lab tests. The autoimmune attack on the thyroid gland creates inflammation so there are a lot of ups and downs of thyroid hormone production. This results in inconsistent blood tests, symptoms and frustration for the doctor and the patient. Since medication is the only tool conventional doctors have to treat Hashimoto’s disease, many patients are left without answers. The key is finding out what is causing the autoimmunity and addressing those root causes because the problem is with the immune system, not the thyroid gland. Is the TSH test enough? The TSH test can significantly fluctuate in autoimmune thyroid disease due to the immune system’s attack on the thyroid gland. Traditional medicine does not check for autoimmune thyroid disease routinely which leaves patients in limbo for months and even years before their doctor finally decides to run tests for autoimmunity. Even in these cases the only treatment for autoimmune thyroid disease is medication. That’s right, the treatment is the same for you whether you have autoimmune thyroid disease or thyroid dysfunction that is not autoimmune in nature. 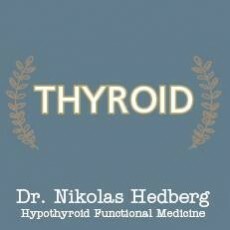 Since only 10% of hypothyroid cases do not involve autoimmunity, millions of people are still not feeling well. Is autoimmune thyroid disease genetic? There is definitely a familial factor in autoimmune thyroiditis but not necessarily a genetic factor in everyone. Habits of living tend to run in families such as food choices, lifestyle, environment, location, and stress, all of which can contribute to the development of autoimmune disease. 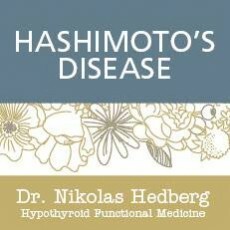 How does Hashimoto’s cause hypothyroidism? In autoimmune thyroiditis, thyroid cells are attacked by the body’s own immune system causing destruction of the thyroid gland and chronic inflammation. It can cause an overactive thyroid initially or underactive thyroid – the latter being the most common. Most frequently, the thyroid is slowly attacked over time leading to hypothyroidism with an elevated TSH (thyroid-stimulating hormone). Traditional medicine treats Hashimoto’s with synthetic T4 (thyroxine) and when the TSH is in the normal range, the patient is considered to be treated successfully. The autoimmune component is rarely addressed which does the patient a great disservice because the body’s attack can be greatly reduced sparing the thyroid gland for a much longer period than without treatment. Many of these patients continue to take synthetic thyroid hormone but still have symptoms of hypothyroidism. What should you know about vitamin B12? It has been shown that patients who have autoimmune thyroid disease also have pernicious anemia (vitamin B12 deficiency). Pernicious anemia can occur when the body is producing antibodies to intrinsic factor which is required for vitamin B12 utilization. Many studies have linked gluten intolerance to autoimmune thyroid disease. Gluten contributes to leaky gut syndrome which can be an important player in Hashimoto’s disease. Gluten is more of an irritant to Hashimoto’s disease and the vast majority of people feel much better not eating it. Destruction of the thyroid cells in the early stages of Hashimoto’s can lead to increased amounts of thyroid hormone circulation leading to symptoms such as anxiety, tremors, hot flashes and rapid heart rate. These symptoms can significantly improve on a gluten-free diet. Is there a connection with vitamin D? Vitamin D deficiency has been linked to autoimmune disease including Hashimoto’s disease. Vitamin D influences the immune system by keeping immune cells in balance that may become overactive and attack tissue cells. In addition to having low vitamin D levels, Hashimoto’s patients also have a defect in the vitamin D receptor requiring much greater amounts of supplementation. Lack of sunshine, decreased absorption due to inflammatory bowel, high cortisol due to stress, obesity and aging can all effect vitamin D levels. Iodine is a major factor in thyroid health but too much of it is not recommended for patients with autoimmune thyroid disease. Iodine stimulates the enzyme that is under attack from Hashimoto’s disease. Supplemental iodine will increase this immune response leading to further inflammation and destruction of the thyroid gland. Toxicity can also be a major player in thyroid disease. Compounds known as thyroid disrupting chemicals or “TDC’s” are rampant in our environment. The thyroid gland is very sensitive to chemicals which can not only cause imbalances in thyroid hormone production, but can also affect thyroid hormone receptors. This can lead to a scenario of normal thyroid hormone on your blood tests, but it is not able to bind to receptors therefore causing hypothyroid symptoms. Examples of TDC’s are pthalates and Bisphenol-A from plastics, triclosan which is found in anti-bacterial soaps and fluoride found in our water supply. Should you worry about mercury? Mercury is also a major thyroid disruptor and can potentially trigger autoimmunity. Mercury is found in dental amalgams and is also a product of coal-burning. Here in North Carolina, we are exposed to large amounts of mercury from the coal-burning plants in Tennessee. It ends up on our crops, water and some is inhaled. Mercury can have the same effects as TDC’s by disrupting hormone production as well as damaging receptors. 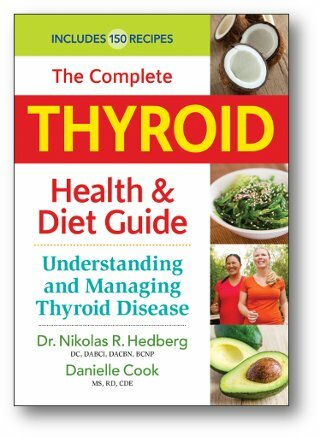 Are there any infections connected to autoimmune thyroid disease? Infections such as Lyme disease, Epstein-barr virus (causes “mono”), Hepatitis-C, Yersinia (a gut bacterial infection), the flu virus, Helicobacter pylori and rickettsia (tick-borne) can all trigger autoimmune thyroid disease as well. As long as these infections are active, the autoimmunity will be driven to attack the thyroid gland. 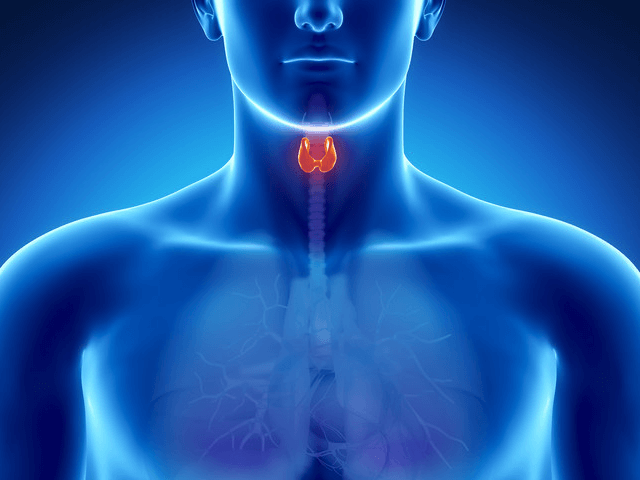 How do the adrenal glands and blood sugar affect thyroid function? Other glands in the body such as the adrenals and pancreas are also major players in thyroid disease. The adrenals produce cortisol which is a stress hormone that can either inhibit thyroid hormone production or decrease it’s ability to bind to receptors. Blood sugar swings from sugar and processed carbohydrates cause surges of insulin from the pancreas further inhibiting thyroid hormone production. Your blood sugar levels and adrenal function are intimately connected and must be in balance for proper thyroid hormone production. The most common nutrient deficiencies that cause hypothyroidism are Zinc, Iron, Vitamin A, Selenium and Iodine. Zinc is important for the activation of thyroid hormone as well as healthy binding of thyroid hormone to it’s receptors in the cell. Iron deficiency is very common in women but you should have a ferritin test to get the most accurate picture of your iron status. Low ferritin levels will lead to hypothyroidism. Vitamin A is important for healthy utilization of thyroid hormone in the cell. Iodine is one of the main components of thyroid hormone itself. T4 is one part tyrosine and four parts iodine. T3 is one part tyrosine and three parts iodine. Selenium is required for the activation of thyroid hormone and it has also been shown to decrease thyroid antibodies. So as you can see, there are many potential causes of thyroid dysfunction that may require more than just taking a pill. 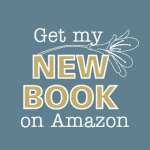 I have written extensively about this in my new book, The Complete Thyroid Health and Diet Guide, which is now available on Amazon. If you know you have a thyroid problem and are still not getting the results you want, there may be an underlying cause that hasn’t been uncovered. "I never thought I could feel 'normal' again but I did – thanks to Dr. Hedberg!" Should You Avoid Dairy if You Have Hashimoto’s Disease?